Kentucky sees its fair share of below-freezing nights and snowfall in the winter. 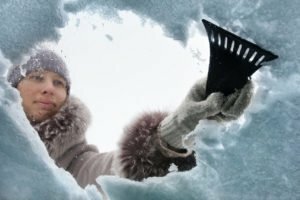 These conditions can be hazardous for motorists who are not prepared for the unique dangers of winter driving. Unfortunately, many drivers overlook the importance of vehicle inspections and maintenance – and other drivers, passengers and pedestrians pay the price. If you were hurt in a car accident that another motorist caused, contact The Troutman Law Office. Injury attorney Matt Troutman will evaluate your case to determine if you may be entitled to compensation for health-care bills, lost income and non-economic damages. Call to schedule a free consultation with a car accident lawyer in Lexington. As its name implies, antifreeze lowers the freezing temperature of the water in your vehicle’s cooling system. If you forget to add antifreeze and the water in your engine freezes, it could damage your radiator and other components. As Halfords explains, antifreeze also increases the boiling point of the engine coolant, which prevents overheating. It reduces corrosion, prevents the buildup of scale, and helps with heat transfer. Ask your mechanic to clean any corrosion off the battery terminals, inspect your battery’s condition, and make sure the battery water is at the right level. 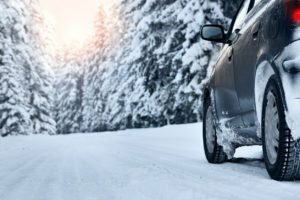 When driving on winter roads, properly working brakes could be the difference between avoiding an accident and getting injured in a serious collision. Ask your mechanic to check your brake pads and brake fluid level. Low visibility is a primary cause of accidents in the winter. You can reduce your risk by making sure the heater and defrost system are working properly. Heavier oils congeal at low temperatures and do not lubricate as effectively as lighter oils. Ask your mechanic if you should use a lighter oil in the winter months. If you live in an area that is prone to icy conditions, consider getting winter tires or chains. At the very least, regularly inspect your tire tread and pressure. Unfortunately, no matter how well you maintain your vehicle, all it takes is one drunk, distracted or reckless driver to cause a serious accident. If you were injured or lost a family member in a crash with a negligent motorist in Kentucky, turn to The Troutman Law Office. Matt Troutman is an injury attorney in Lexington who can help you pursue the maximum compensation for economic and non-economic damages. Call today to schedule a free initial consultation.